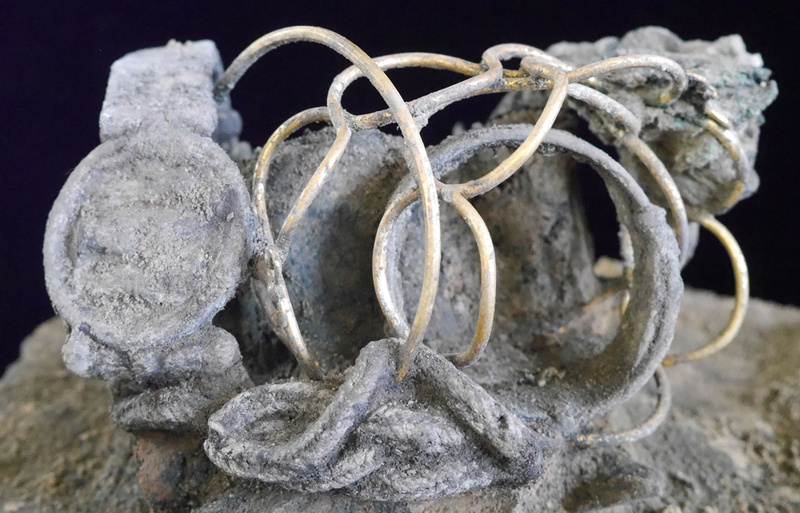 Archeologists have discovered one of the finest collections of Roman jewelry ever found in Britain. 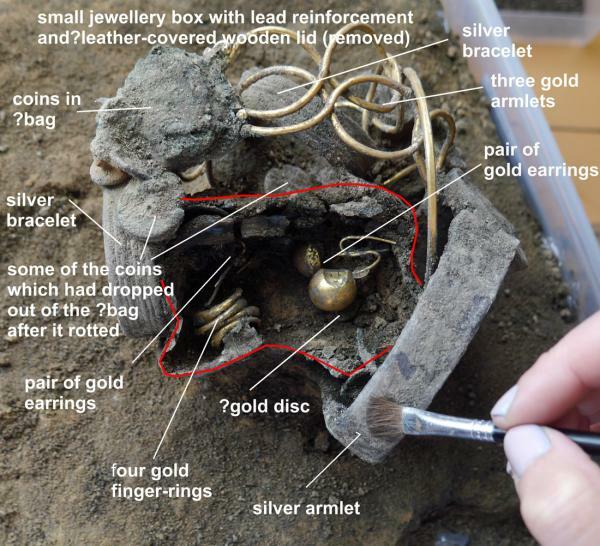 Dubbed the Fenwick Treasure, the fine gold and silver jewelry was found under a department store in the historic town of Colchester. This unique discovery gives us a glimpse into a historic and troubled time. 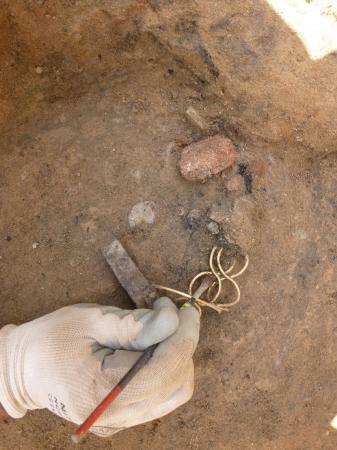 It is believed that the treasure was buried in the floor of a house for safe keeping on the eve of the Boudiccan Revolt in AD 61. The owner likely knew that a large army was marching towards her town and that they were practically defenseless. Hoping to preserve her jewelry in the slim hope that she could somehow escape or survive the onslaught to later reclaim it, she buried it under the house. Sadly, she was never able to retrieve her precious jewelry. There is evidence that the house was burned to the ground when the small town fell and human bones were discovered nearby showing serious injuries. Stories like this remind us of the darker side of human nature and make us thankful to live in a relatively peaceful time and place in history. They also bring a sense of connection. We know very little about the woman who used to own this jewelry almost 2,000 years ago. But, which one of us would not have had the same thoughts and taken the same precautions to protect the things that matter to us? With wildfires raging a few short miles away from us here in Sacramento, CA many have been forced to leave their homes and decide what few possessions to take with them. Many have probably packed up their own fine gold and silver jewelry. Our hearts go out to them as they likely experienced many of the same thoughts and emotions as the ill-fated owner of the Fenwick jewelry. It is a solemn reminder of how much we have in common with our fellow human beings even those who lived long ago. P.S. A big thanks to the The Colchester Archaeological Trust for letting us use these amazing images.